Chandler Walker (in his own words): Coming from a university degree in biology and biochemistry, Chandler has developed a practice devoted to creating unique opportunities for people with autoimmune and lifestyle disease to put symptoms at ease, lose weight and end chronic pain and for young athletes to develop athleticism without specializing in sport starting as young as 6 years old. ChansLogic is devoted to creating clarity in the lives of others by focus on mental health, fitness and gut health to build a culture of caring. 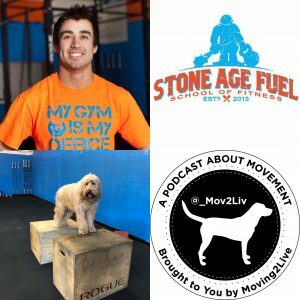 Chandler is the Co-Owner of StoneAgeFuel, a facility devoted to fitness for life and youth weightlifting and sports performance. In fact, StoneAgeFuel is one of only a handful of USA Weightlifting Athletic Development Training sites. check out the Moving2Live episodes featuring Menachem Brodie, released 3/28/18 and 4/11/18. 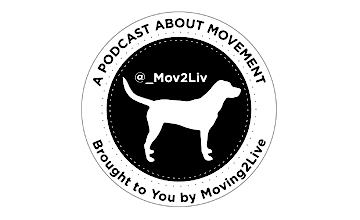 check out the Moving2Live episodes featuring Eric Malzone, released 8/7/18 and 8/22/18.